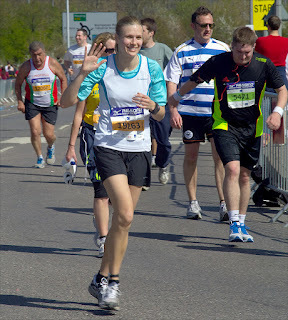 The strategy paid off - I set off slow, let people overtake me, kept going slowly and, well, just kept going! It was beautiful weather - about 8degC and sunny. It felt a bit hotter than I expected, especially in the last few miles, but there was a slight breeze which kept me from needing to remove a layer. 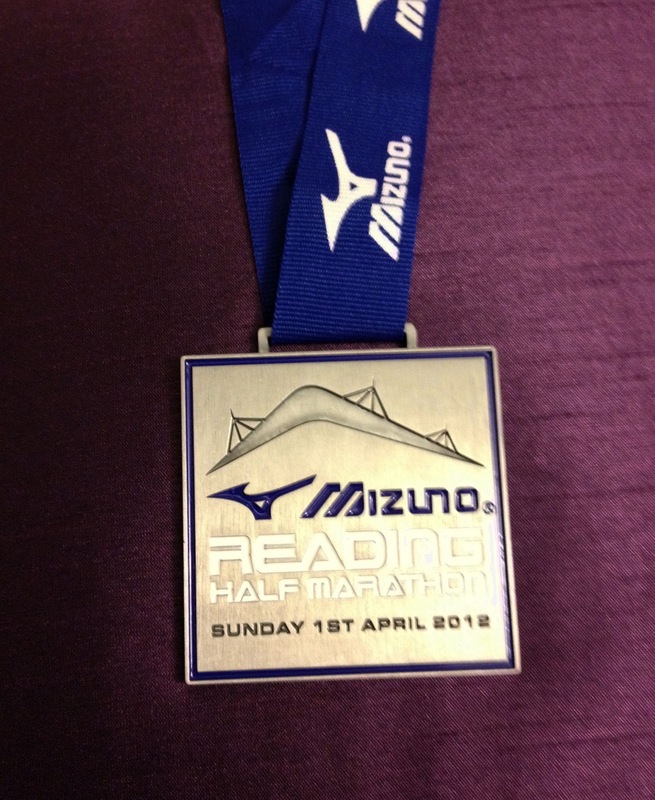 It took me ages though - I was expecting to finish in 2:40 (which is pretty slow) but it actually took 2:50 (unofficial garmin time - haven't heard about an official time yet). I think that most people around me had walked at least part of the course, which is a bit depressing, but I'm still glad that I kept jogging the whole time. 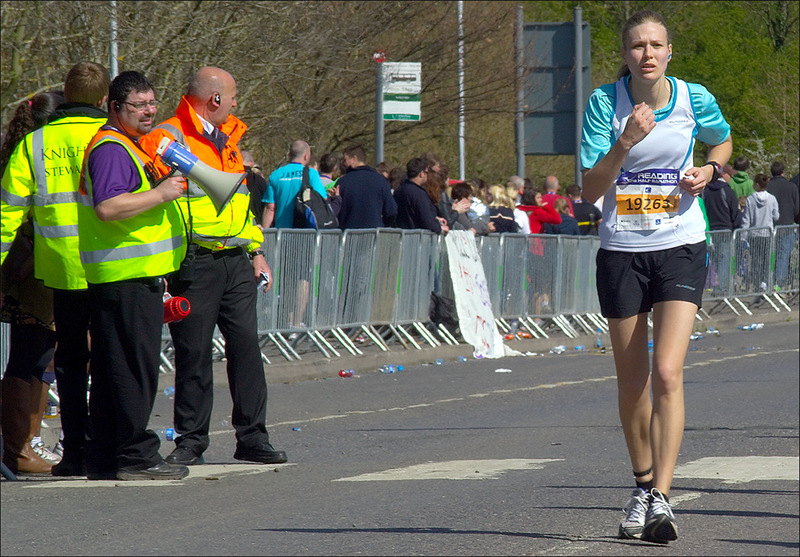 And I still had a bit of energy in reserve for a mini sprint finish! And now? I'm a bit achy and tired - I'm sure I'll ache more tomorrow. I managed to stay pretty well hydrated during the run, and then caught up a bit on drinks and calories afterwards. 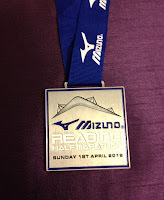 Well done to my friends who were also running today - with times ranging from1:48 to 2:10 they should all be mightily pleased with themselves! Last 400m here I come! Thank you for your support and positivity in the last couple of weeks - it's really helped. Wahooo! You look like you finished so easy and fresh. I am sooooo so happy for you. Nice to have that behind you and so successfully. I am so hoping I have a similar experience and can do it in under 3 hours too.